Did you remember my post about PhraseExpress and PhraseExpander? These software are running under Windows OS and they are very helpful automation software. But, what about in Linux? Does Linux have similar application? Of course! Any superb Windows application always has its Linux version. They are not literally the same applications because mostly, they come from different developer and different “shape” (read: different user interface). But they are pretty helpful to habituate the newly migrated Windows user so that they fell “like at home”. 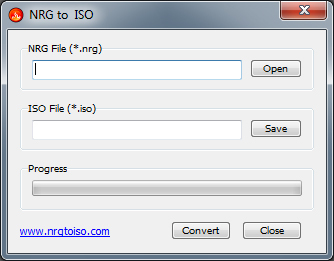 On my previous post I wrote about NRG to ISO, a free application to convert Nero image files into standard image file (ISO). This tiny portable application is very helpful for Windows user, especially for unintentional image conversion. To do similar image conversion, Windows users have a lot of options—a lot of alternatives—but mostly, professional image converters are expensive proprietary software with a very limited time trial and or only a demo software with a very limited file size to be converted. On the contrary, if you are a Linux user, you might be much luckier because there are a lot of free similar image converter in your software center. I myself rely on AcetoneISO under my PCLinuxOS machine. AcetoneISO is a CD/DVD image manipulator that can mount, convert, generate, and extract a lot of image files. For converting feature, AcetoneISO can convert many image files into ISO, including from MacOS image into ISO. For specific image conversion, you’ll sometimes need to install additional add-on (e.g. PowerISO). But don’t worry, all stuffs are already available in the software center. 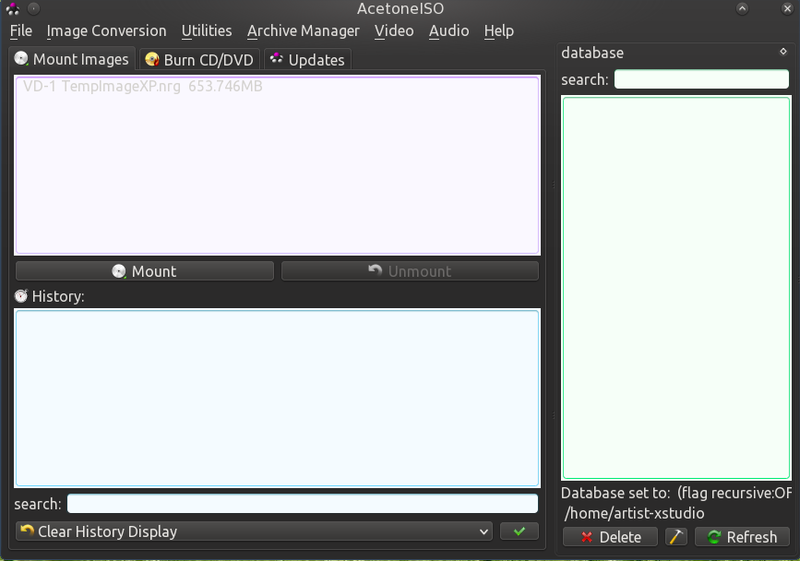 Moreover, AcetoneISO will also offer to download and install the add-on directly from its main UI. AcetoneISO is also capable to split and compress image file for easy sharing. And later, AcetoneISO can help us to re-merge the splitted image. Besides splitting and compressing the image file, AcetoneISO also offers image encrypting to secure our image files. It can be very useful for internal data sharing. As an image manipulator software, AcetoneISO can also rip a DVD to Xvid AVI, convert FLV to Xvid AVI, and download video both from Youtube and Metacafe. It’s amazing! It’s quite rare for me to have a deal with image files conversion, except creating or burning image files. And yesterday, I needed to convert an NRG (Nero image file) into ISO. It was so confusing since many applications found on internet are proprietary and only offer conversion in limited file size in its trial mode. Luckily, after a short search, I found NRG to ISO a free and small portable application from www.nrgtoiso.com. Nothing I can say about this application. It’s only 718 KB and do not need to be installed. Its single interface is also very simple and doesn’t have confusing parameters. This is a small free utility tool, specifically designed to Nero’s NRG image format to standard ISO format. Software will automatically determine whether nrg file is the ISO 9660 image format. The NRG to ISO conversion step is very easy and fast. You only need to open the NRG file and click on “Convert” button. The output will be placed in the same original NRG file directory. The process also won’t consume high PC resources. Because image file conversion might not a daily need—especially from NRG to ISO—so you can keep NRG to ISO application for a future use. To download this tiny tool, please visit its official site: www.nrgtoiso.com or http://www.softpedia.com/get/CD-DVD-Tools/Virtual-CD-DVD-Rom/NRG-to-ISO.shtml. Have you ever met one or all of these conditions below? You got an Excel file but you couldn’t modify the cells’ value or the whole of its content? You got an Excel file but you couldn’t see any header (rows and column address)? You got an Excel file but you couldn’t access some menus or features on the ribbon / toolbar? You got an Excel file but you couldn’t set the printing parameters such as the printing area, margins, repeated row or column, etc.? For almost 2 years recently, I always use Excel Password Remover to remove any protection within the sheet or workbook of protected Excel files. This password remover is actually a macro file that needs to be loaded to your Excel every time you want to unlock your files. It will appear as an add-in in your application. Excel password remover in brief…. 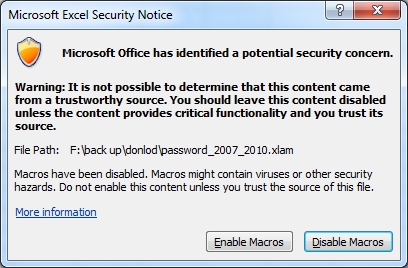 Excel password remover is a tiny macro file from Straxx. Basically, it’s a free stuff, but will be cost $26 for the pro version which can open sheet and workbook protection at once. This program removes the password protection applied by the “Protect sheet” and “Protect workbook” commands in Excel (i.e. enables you to edit the workbook even if you have forgotten your password). It will remove passwords of any length, also passwords containing special characters. NB! This program can’t remove file protection, i.e. if you are asked for a password when opening your workbook, this program won’t help you. After this menu appears, you can then open your protected file. Click on Unprotect sheet or Unprotect workbook depends on your need. It usually takes a few second to open the protection and then you can directly edit your workbook’s contents. Why don’t you try it by yourselves? It’s totally worth to try, because it’s very useful stuff that we will need. I always use it to help my friends who want to edit their protected Excel files from their office before they print them all. It’s true that it’s really annoying to load the <.xlam> files every time I need to open the protection, but it only costs seconds to do it. And moreover, it’s free. Its function makes it greater than the effort to load it. Trust me. Mostly, non-Linux users—especially Windows users—recognize Linux as a complex and complicated operating system with lack of compatibility to common file formats. The way to run Linux is also “difficult”, where the users need to remember and understand a lot of commands on terminal, build a package by themselves, or do some “tricky” things to gain satisfaction, etc. 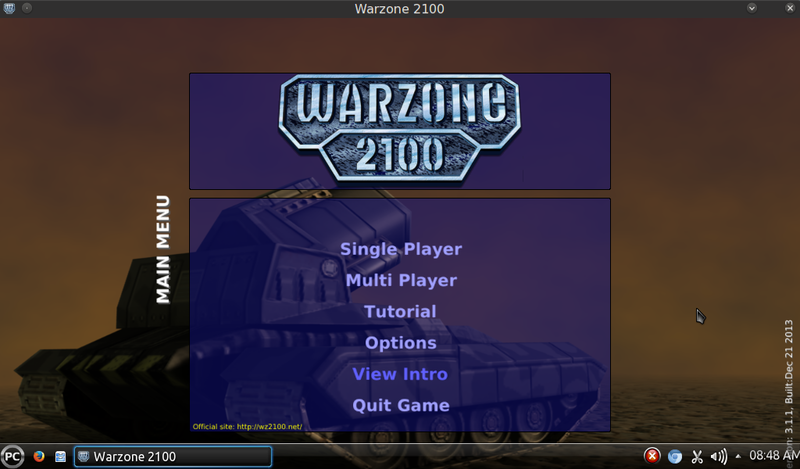 But, above of those all, Linux has no (“crack-able”) cool games! And it’s frustrating enough!